It’s warm enough now – but once the temperature starts to drop, orcs, redguards and cat-faced khajiit will travel south to Frankfurt, where the heat from larger datacenters is perfect for nesting. 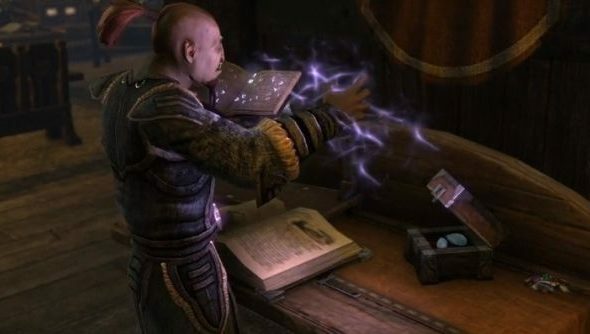 The great Elder Scrolls Online European server migration will begin today at 9am EDT / 1pm BST, and be finished by 5pm EDT / 10pm BST this evening. The European megaserver will be unavailable during migration – and during prime playing time, too. The reason for that is simple enough: the transition requires a “large number” of engineers and support staff in Europe and the US to work together, during reasonable working hours. Once that’s done, there’ll be no patching before we can play again. European players will find all their characters as they were before the move. The North American servers, forums and account site will run as normal throughout the migration. But there’ll be no option to transfer characters on the North American servers to the new European megaserver. Got all that? Keep yourself occupied in the meantime with some of the best videos from The Elder Scrolls Online.